This romantic classic is the perfect way to say "Be mine forever?". 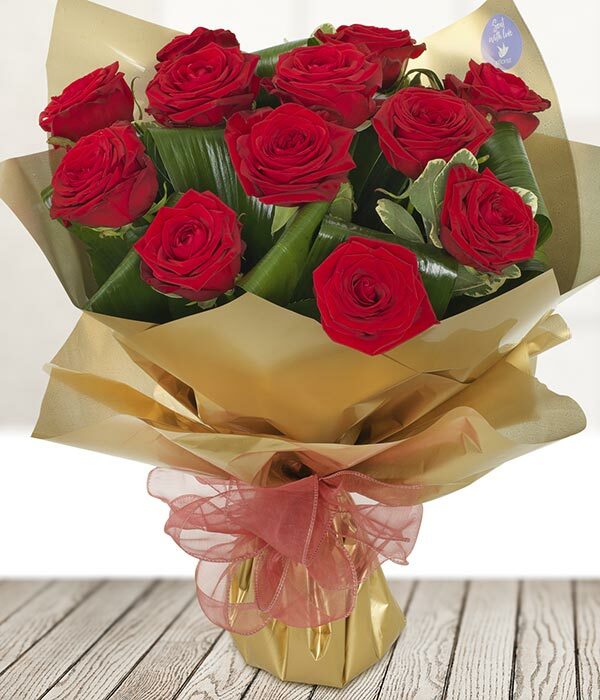 A dozen Naomi roses are hand-tied in luxury gold wrap and presented in an aqua pack. This bouquet is beautifully hand crafted by a local florist in your area, and delivered directly to their door.